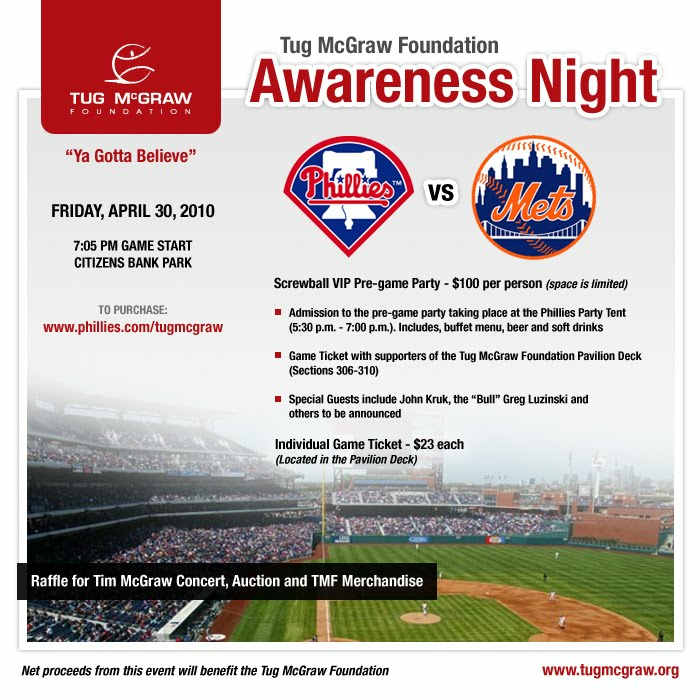 ZWR is happy to pass along info of an event being held by our friends at the Tug McGraw Foundation later this month, against MLB's version of charity- the Mets! We all know what Tug meant, and the power of the message, so if you're able please participate. At the very least, spread the word. Thank you.